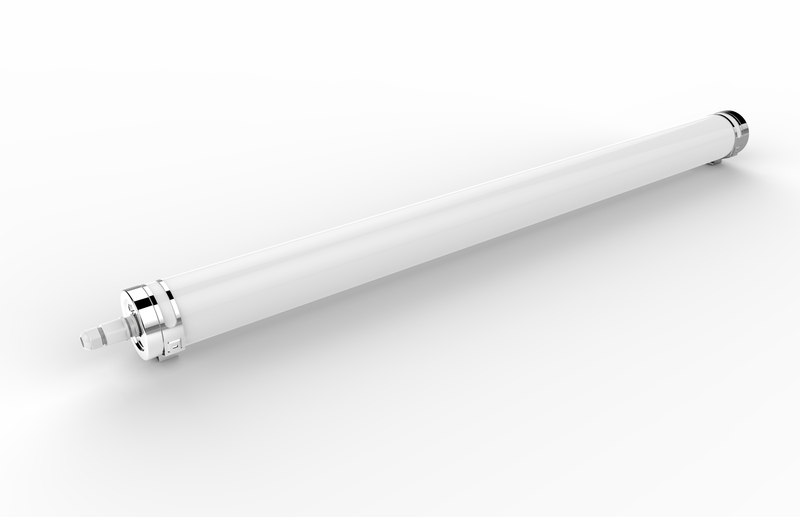 The Clean Zone luminaire is specifically designed to be a hygienic lighting solution. Its cylindrical design works to prevent dust and grime from settling on its surface. Its IP69K (IP67) waterproof rating indicates exceptional resistance to liquids, vapour, dust, pollutants, contaminants and corrosive substances. These characteristics help to keep its operating environment sanitary and pure, making it a perfect choice for the food, medical and pharmaceutical industries. Our suggested applications include food manufacturing and processing areas, food preparation spaces, cold stores, refrigeration rooms, hospitals, operating rooms, controlled environments and clean rooms. The recommended installation height for this product is 2-8 meters.